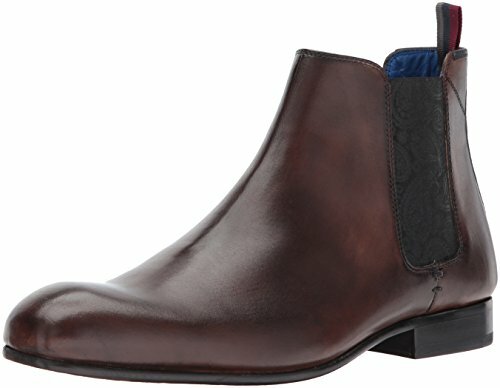 Gently square-toed leather chelsea boot. Counter stitching feature in accent color and feature elastic give true ted detail. Printed textile lining and synthetic sock mirror detail on embossed resin sole unit. Soft square toe Chelsea boot with Feature elastic. Counter stitching in accent colour and striped grossgrain pull tab provide a true Ted Baker DNA. Printed textile lining and synthestic sock in accent colour mirror detailed embossed on the resin sole unit.